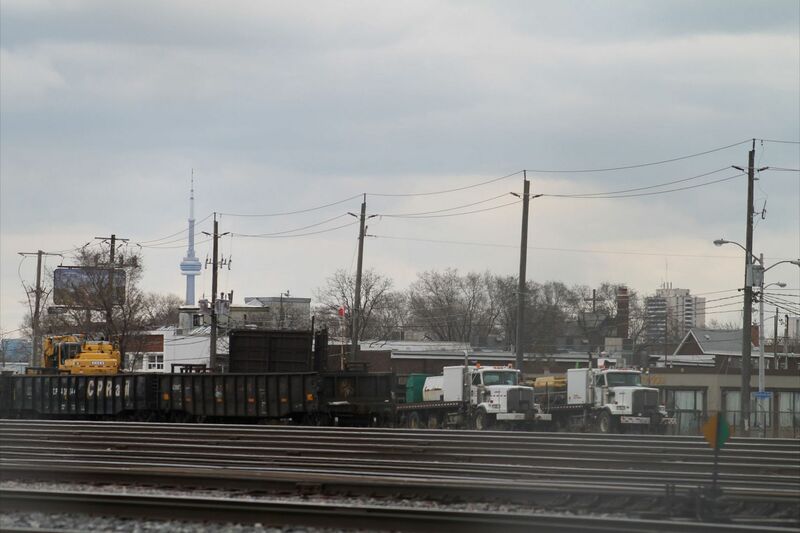 April 14,from Wayne Crane comes this cool catch: taken at lampden yards of CP western stars tie laying service-from the Toronto Sub, Gault Division. 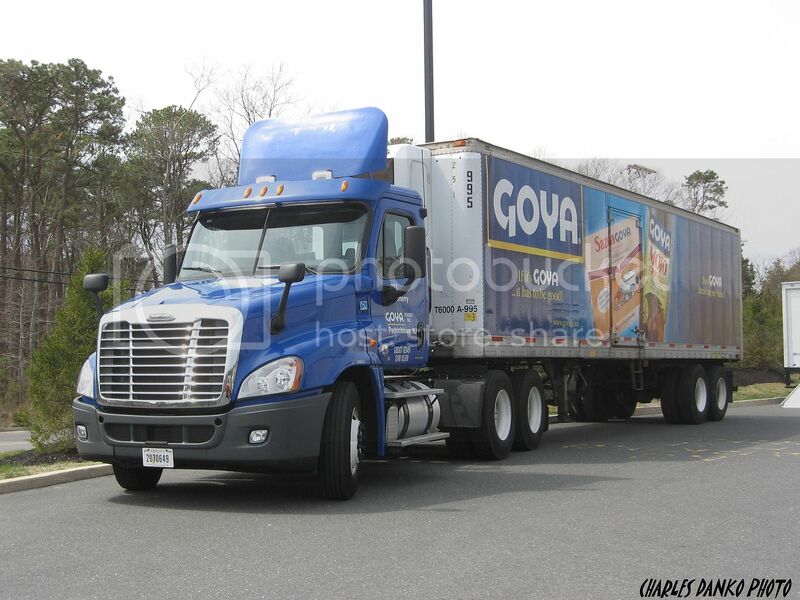 Tax day (4-15-13) finds a Goya Foods FL Cascadia from the Pedricktown NJ DC waiting for a spot at the dock of the Waretown NJ Shop Rite store. 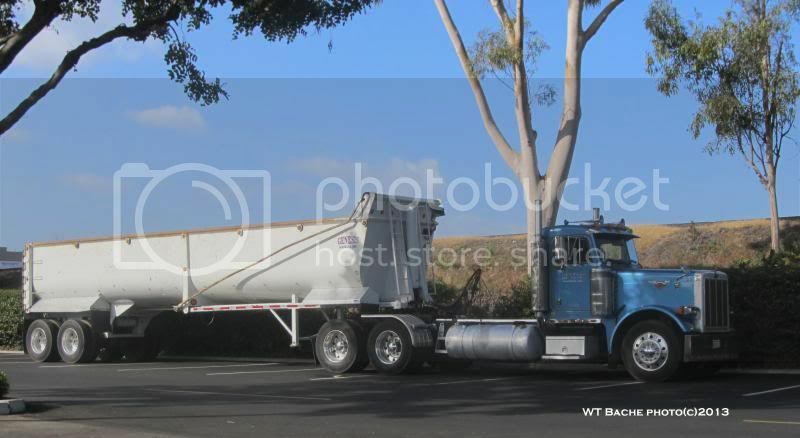 4-16-13 --Pete Day Cab with dump trailer parked o the perimeter drive at the Los Cerritos Mall--Cerritos CA. 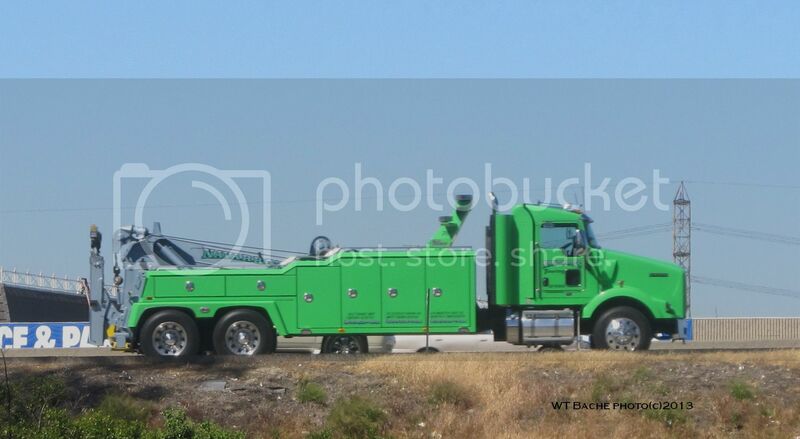 Cool shot on that grapple! 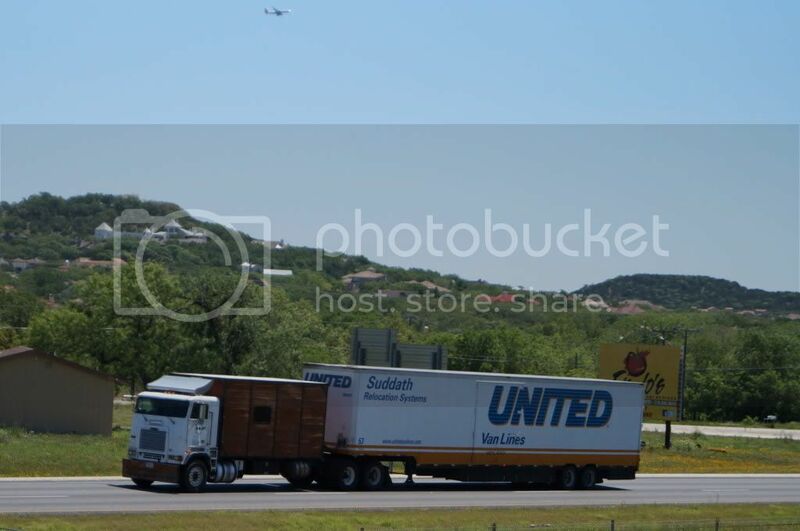 Makes that truck look like a toy! 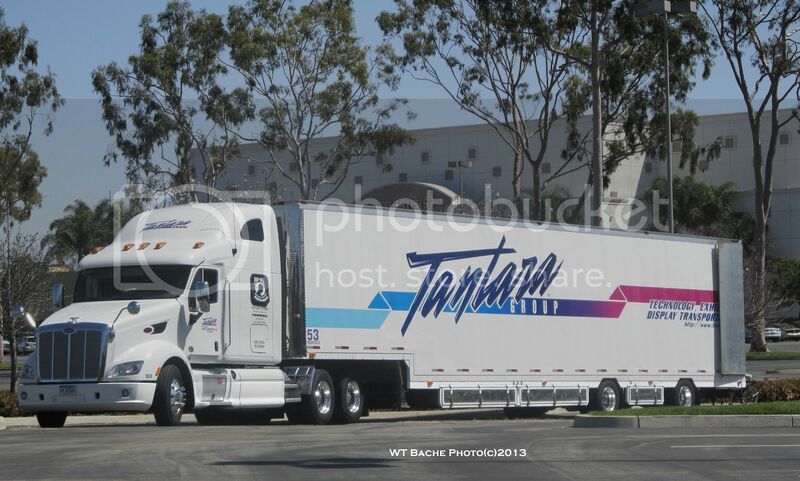 4-18-13-- Tan Tara Group Pete parked on the LosCerritos Mall -Cerritos CA parking lot. 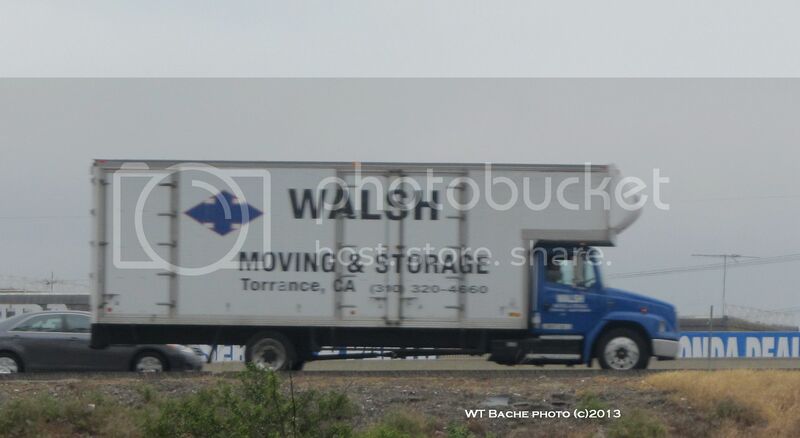 I don't know whether they made a delivery or loaded but the driver is doing some housekeeping in the van. 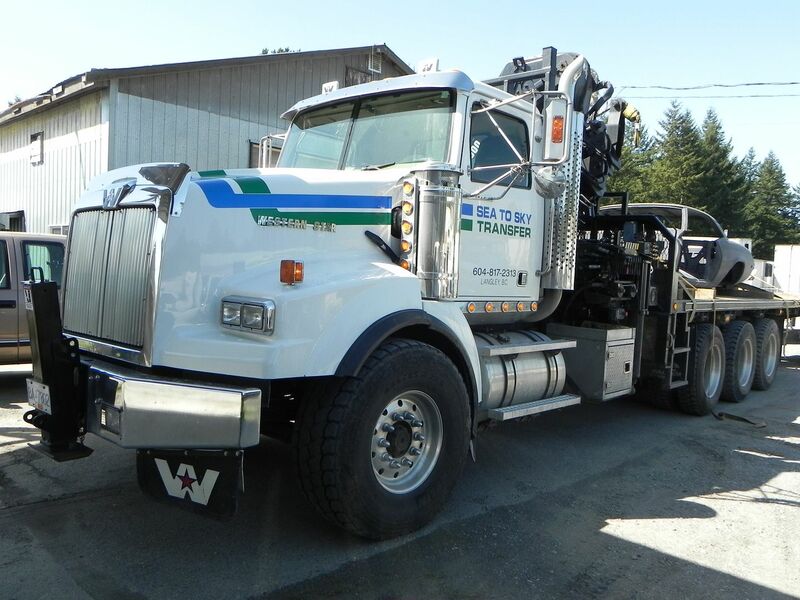 April 23, a Sea To Sky Transfer Western Star SBFA tri-drive Hiab has a serious payload on board! 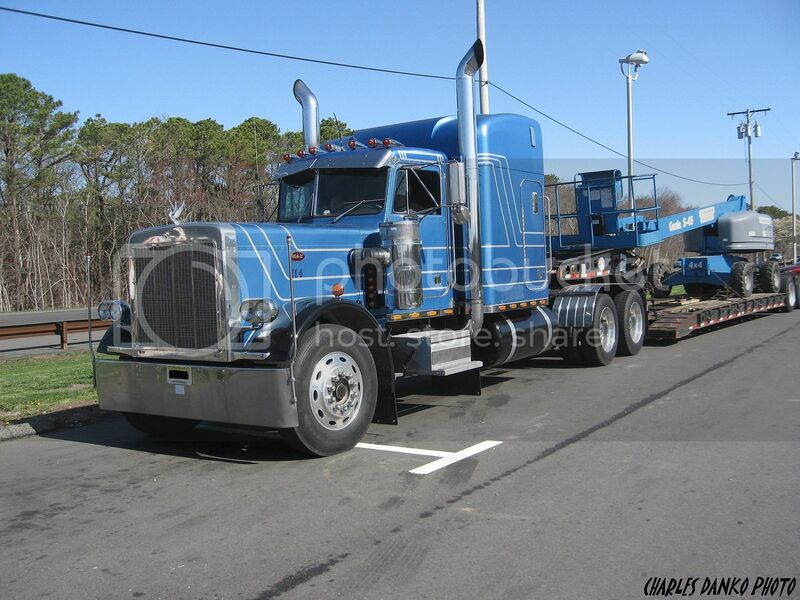 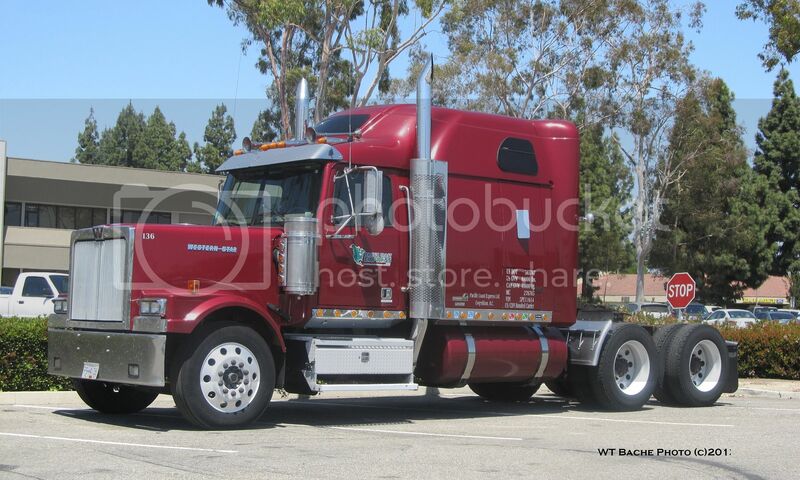 A cool lookin' Pete 359 i caught this morning (4-25-13) at a service plaza on the Garden State Parkway in Lacey NJ. 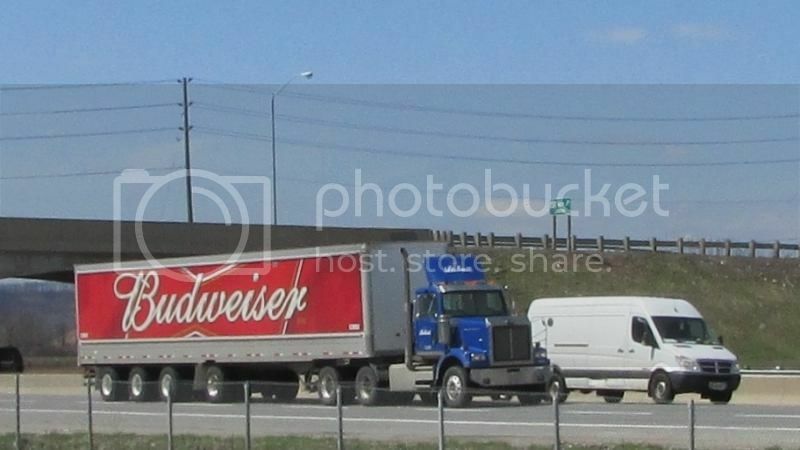 A Volvo from Arnold Bros Transport heads west on Highway 401.